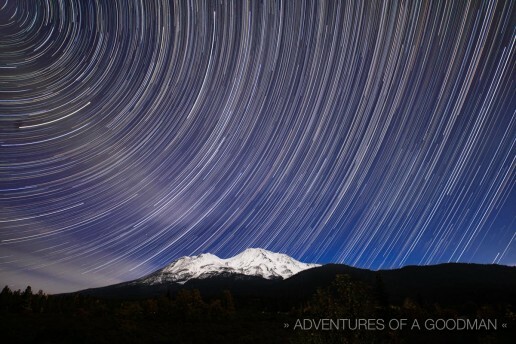 Mount Shasta has been enchanting and captivating people, animals and “others” for nearly 400,000 years. 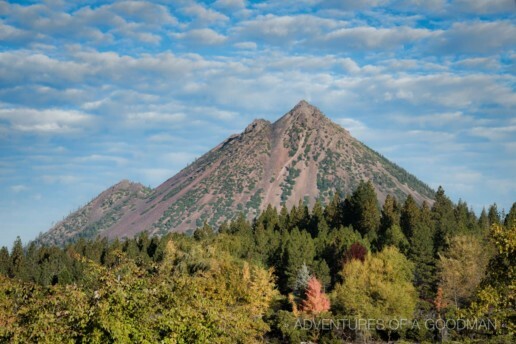 Located in the Cascade Range of northern California, this dormant volcanic mountain is one of the world’s most sacred and spiritually powerful places. It’s also an amazing place to be a photographer! With an elevation of 14,179 feet, Mount Shasta (aka the White Mountain) is the fifth highest peak in California. It is also quite voluminous, occupying 85 cubic miles of space. Spread across that massive footprint, Mount Shasta consists of four overlapping volcanic cones: Misery Hill, Hotlum Cone, Shastina and Mr. Shasta. Hikers are allowed to summit the mountain from April – October, weather permitting, and do not need a permit to attempt the climb. Volcanically, Mount Shasta has been dormant for more than 200 years. Mount Shasta was declared a National Natural Landmark in December 1976. It’s been 7,000 years since humans first inhabited the mountain. America’s record for the most snowfall during one storm was set at Shasta in 1959. Many people believe that Mount Shasta is the location of a sacred vortex … one that provides a portal to a higher dimension of consciousness. According to one Klamath Tribe legend, the mountain is inhabited by Skell — the Spirit of the Above-World — who descended from heaven to Shasta’s summit to do battle with Spirit of the Below-World. Another legend states that Mount Shasta is home to a hidden city of advanced beings from the lost continent of Lemuria. Whatever you believe, it’s impossible to deny the energy and power that pulsate throughout the entire Mt. Shasta region. While there are innumerable entrances to Mount Shasta, most people center their visit in the small town of Mt. Shasta in Siskiyou County, California. Home to a wide range of actives, shops, spiritual organizations, trekking agencies, hotels, restaurants and natural beauty, Mt. Shasta Town is the perfect starting point for any mountain adventure. In addition to the titular mountain, visitors can choose to hike up the nearby Black Butte or Mount Eddy. Or, if steep climbs aren’t your cup of tea, there are a plethora of relatively flat areas to explore. A few favorites include Lake Siskiyou and Castle Crags State Park. Finally, if you want to spend an extended period of time connecting with your spiritual side, many organizations offer workshops and retreats in Mt. Shasta. I highly recommend this one by the Dance of the Deer Foundation. 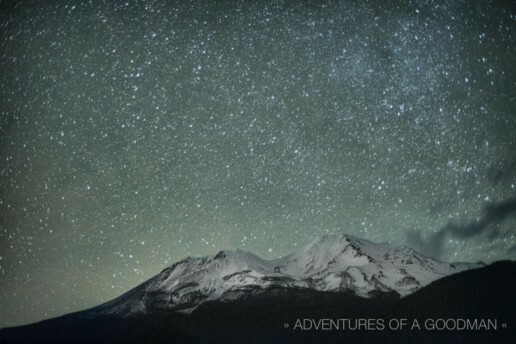 With no big towns nearby to provide light pollution, the night sky above Mount Shasta is absolutely breathtaking. 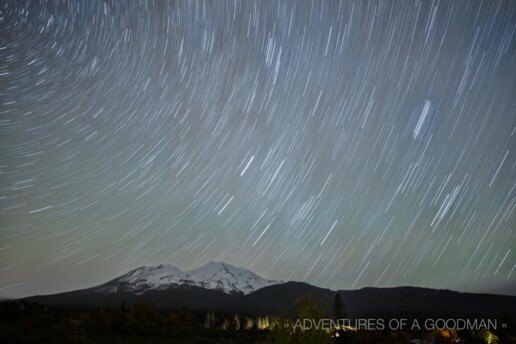 During a recent visit, I placed my camera on a tripod and created a series of long exposures of the stars above Shasta. Later, I combined 285 photographs into a single image … and a timelapse video. Ayahuasca — Sacred Medicine or Ancient Drug?